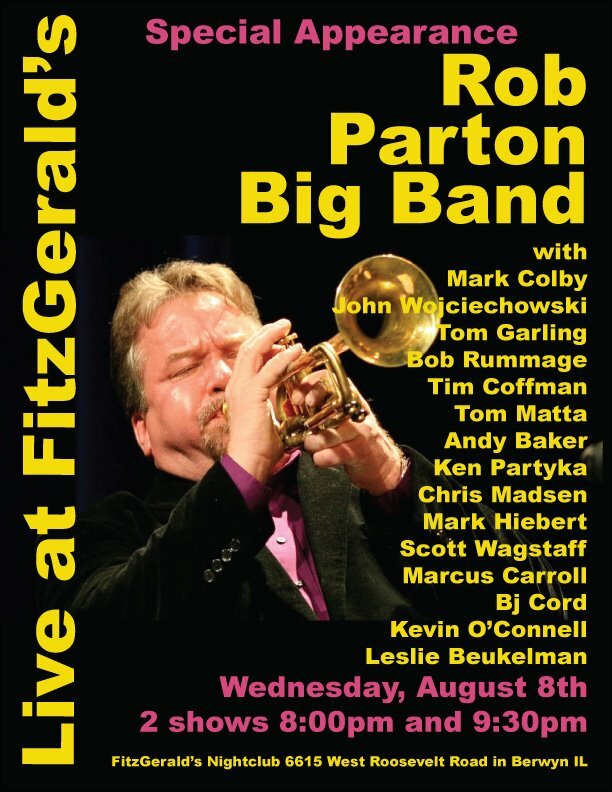 For all my Chicago-area friends…the return of the Rob Parton Big Band! My friend Rob Parton, who fronted the best big band in Chicago for years and years, moved to Columbus, Ohio, last year. He teaches at Capital University now. His move meant the Rob Parton Big Band no longer performed regularly. In fact, the last time I was there was when my high school band performed with them at FitzGerald’s last year, and the amazing tenor saxophonist Mark Colby ran the band because Rob couldn’t get back from Columbus for the gig. I just found out that Rob will get the band back together on August 8 at FitzGerald’s in Berwyn. If you are in the Chicago area, you should come out and hear them. The band is made up of some of the absolute best jazz players in Chicago – in fact, some of the best in the country! And check out their recordings!